Karthikeyan Sridhar AND Basil Paudel, graduate research assistants, work well together — well enough to win first place at the American Society of Mechanical Engineers Additive Manufacturing Heat Sink Challenge. 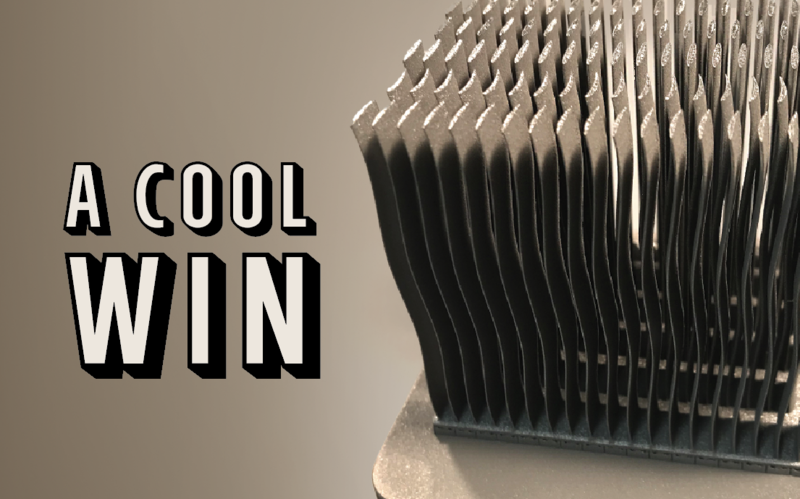 The national competition involved the design, fabrication and testing of a 3D-printed innovative heat sink to effectively cool electronics used in personal computers and data servers, while challenging their skills by applying a time constraint. “When we registered our team, we had to work all three weeks to get the initial design out,” Sridhar said. Sridhar and Paudel presented their work at the International Technical Conference on Packaging and Integration of Electronic and Photonic Microsystems in San Francisco once they had completed their design. According to Paudel, the task was difficult because of the requirement of additive manufacturing. He said the team had to go back and work through smaller issues until they were able to ensure their prototype hit all of the requirements. The prototype of the heat sink was printed by Ralf Fischer, who serves as a graduate research assistant in the materials science academic department. “We met pretty much every week to discuss our progress,” Paudel said. There were setbacks at times, but most of them were results of the competition rules, requirements and regulations. Sridhar said the team took these in stride though, adding it took the time and dedication it did because, through every step of the way, they had to have their work checked out, fixed and reviewed again. At the final stage of the competition, they presented and felt like they had a good chance of taking home first place. Since the competition had an end date, they were unable to critically examine and judge their work as much as they wanted to. As they move forward, they hope to better perfect their work.